I hadn’t had a chance to order from Sassy Minerals yet so I went ahead and did so. I ordered on 6/27/10 and received my order on 7/2/10. That was fast! I ordered all samples, the total of which came to $11.57. 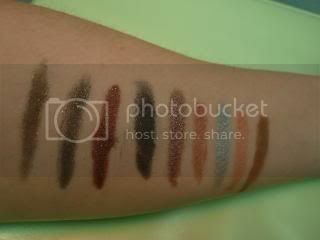 I had a chance to play with them yesterday and while I’m still working on the correct color mix for the foundation, I LOVE the shadows. 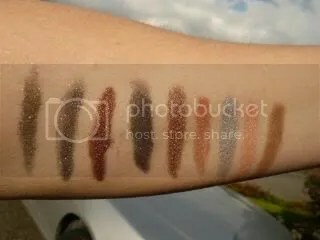 They apply really nicely and are easy to blend. I also like the clear jars for the samples and I like the label with the pigment name on the top. I always have to write the name on the top if it’s not there so this packaging is right up my alley. I played around with Intimate over my entire lid and In Hysterics on the outer corners, no liner and one coat of black mascara. It was very simple and pretty. No photos, unfortunately. So far I like the primer, foundation and finishing powder as well. A mix of mostly Golden Light with a bit of Golden Medium seems to be a good substitute for Aromaleigh 2Y or Meow’s Friskly/Sleek Angora. I’m still playing around with the foundation mix. 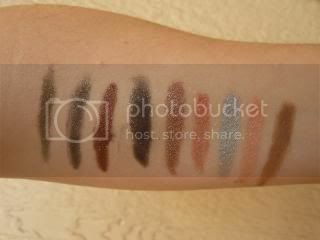 I will definitely be ordering more shadows from them, the depth of the colors is beautiful and I found them very easy to work with.